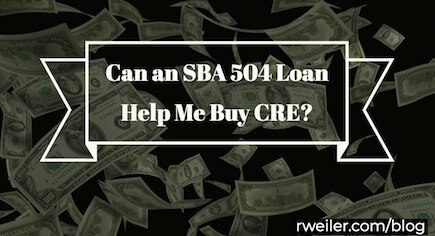 Can an SBA 504 Loan Help Me Buy Commercial Real Estate Available? With all of the commercial real estate available in Columbus, Ohio, are you considering making an investment? If so, you may also be weighing your options for financing that purchase. Did you know that The US Small Business Administration’s (SBA) 504 Loan Program (also referred to as the Certified Development Company [CDC] loan) may be able to provide your small business with a loan for major fixed assets, such as land and building development? With 10-percent down and fixed-cost, an SBA 504 loan is one of the best long-term financing options for small business owners. An SBA 504 loan is designed to help small businesses grow. If eligible, you can use the funds to buy available commercial real estate property and land. Building new facilities or renovating existing facilities is also an option. You may choose to pay for improvements to your property, such as upgraded utilities, renovated parking lots, and landscaping for curb appeal. The funds can also help you buy and install machinery and equipment. It is designed to help provide financing for your business to purchase fixed assets. The rates are typically below market. How are the payments for the SBA 504 loan program broken down? As the business owner, you are required to contribute a minimum of 10%. A conventional lender will then contribute 50% – this is typically a bank. Are there requirements for the SBA 504 loan? You must have a business plan. You are required to do business in the U.S. or its territories. Entity plays an important role. As such, your business must be organized as a sole proprietorship, corporation, or limited-liability corporation (LLC). Your business must have a tangible net worth no greater than $15 million and average net profit (after taxes) below $5 million in the last two years it was operating. Before applying for the loan, you must have tried to utilize other financial resources. You must plan to use at least 51% of the property for your own operations within one year of ownership of the commercial real estate you plan to purchase. If the building is newly constructed, you must plan to use 60% immediately and occupy 80% of it. SBA 504 loans have a long-term fixed rate of 20 years on a real estate loan and 10 years on equipment. Interest rates are below market-value. There are no balloon payments on SBA 504 loans. Closing costs on the property (such as the fees for hiring a Columbus, Ohio property appraiser) may be included in the financing. Need help searching for, buying, or developing commercial real estate available in Columbus, Ohio? Are you looking for assistance in searching for, buying, or developing commercial real estate for your small business? Or perhaps you have your eye on a property but need a qualified commercial appraiser to provide an accurate property valuation? Since 1938, The Robert Weiler Company has been the leader in the CRE industry. Begin working with a seasoned property broker who can answer all of your questions regarding the commercial real estate available in Columbus, Ohio. Call us today at 614-221-4286.